During June we are featuring treatments for the men in your life, from salon massages to looking after their skin on a beach – it’s time to share the love. Dermalogica and Denman have been fabulous in their support, there is a Shave Essentials and skin care from Dermalogia and some fab shower and hair products from Denman. We think the man in your life would love them – just post a message at the bottom as to why you would love these gifts. 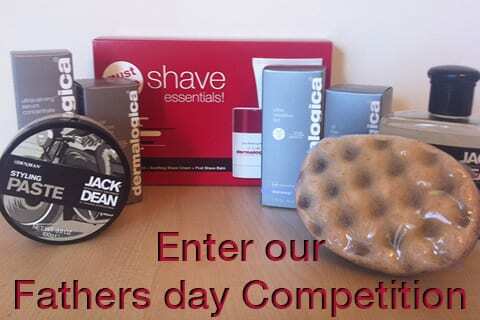 Our competition closes on the 9th of June and the winner will be chosen by random.org, the goodies will be posted out on the 11th of June in good time for Fathers day. So what are you waiting for let us know why you’d love to win this fabulous prize.